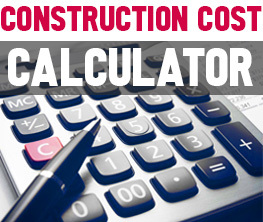 Keeping your business green has more benefits than those related to the health of the planet. As a business, it can give you an advantage and attract a whole new class of clients – the environmentally-minded crowd. 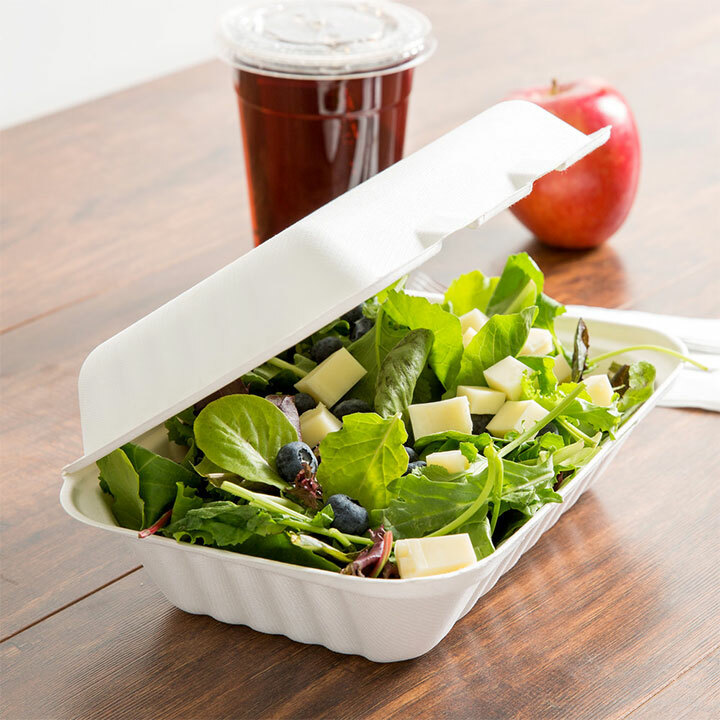 While better managing your use of water and electricity is an important part of such an effort, if you operate a restaurant or any other food service business, the food containers you use can carry a direct message to your customers that you are interested in both their health and that of the environment. 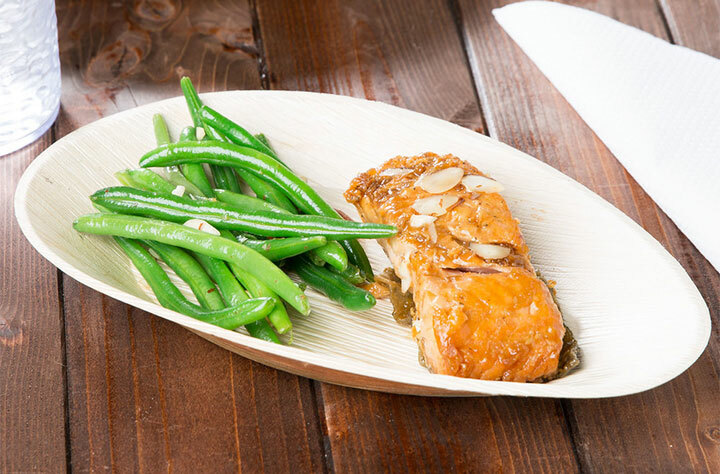 Here are only a few ideas of eco-friendly dinnerware, servingware and containers that can help you up your game in the eco-friendly department. 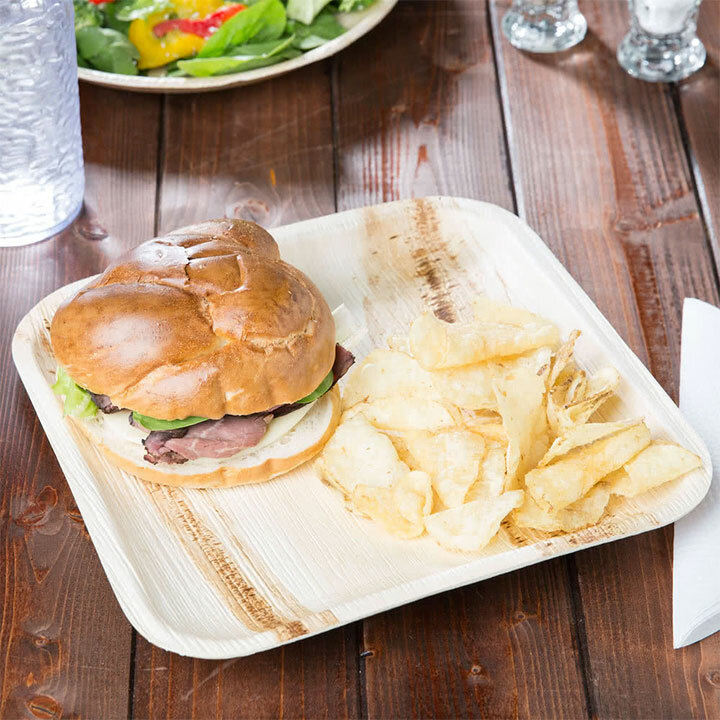 Palm leaf plates (made of naturally fallen palm leaves) are not only biodegradable, but also elegant. They are conveniently sturdy, and have a unique natural look, far from the tired foam or plastic look. 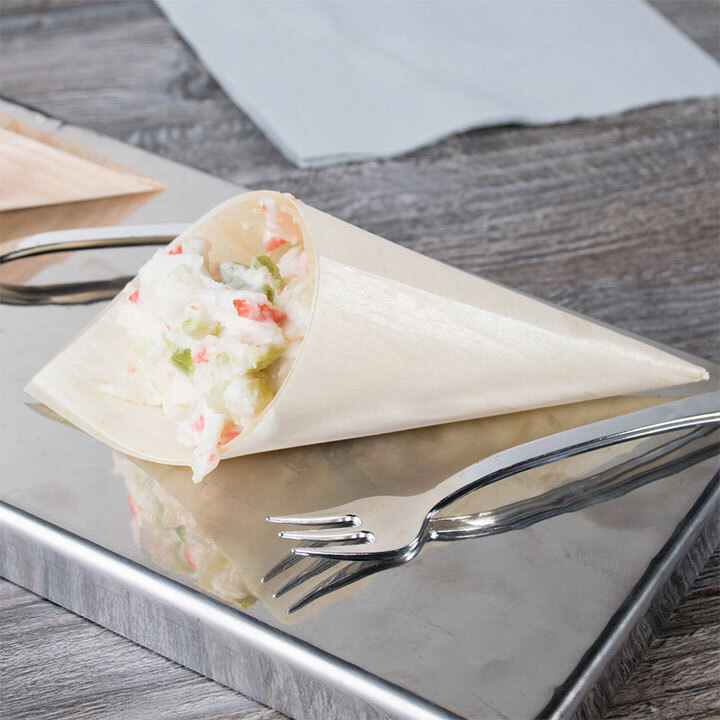 For small servings, you can do without plates or bowls, and choose instead disposable wooden serving cones. They look sophisticated in food displays, are easy to use when moving about during a catered event and make clean-up a breeze. 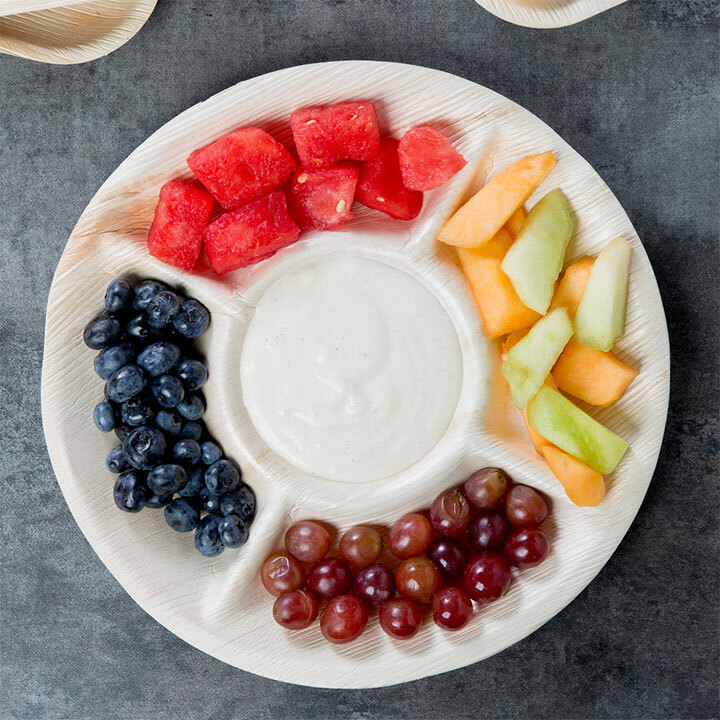 When you create food displays for a catered event, a palm leaf tray creates a beautiful background for your colorful food. When it comes to containers for hot beverages, it is better to avoid materials that may leak chemicals into the liquid. Instead, paper cups are a safe choice, and often more attractive. 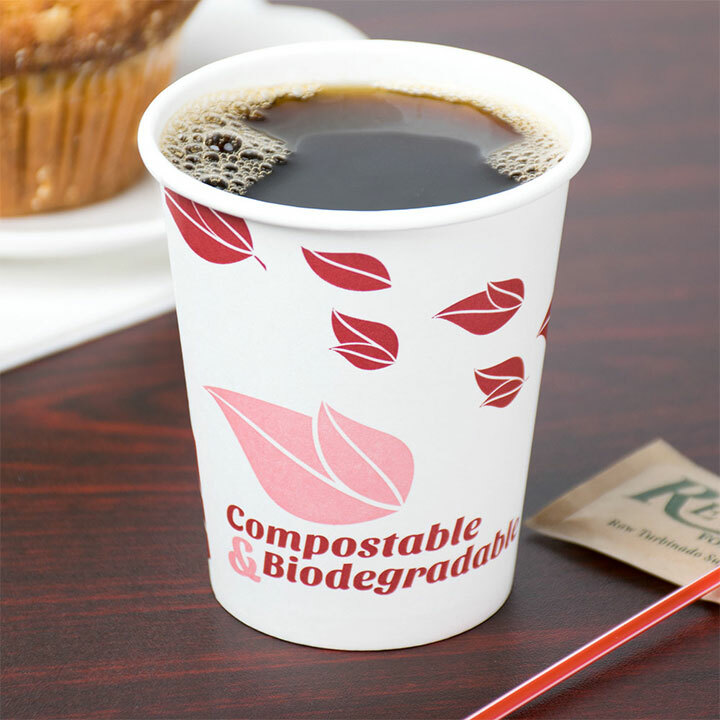 This takeout container is made from bagasse, a compostable sugarcane fiber that biodegrades in as little as 90 days. The container can hold both cold and hot food. But here are other examples. Multi-colored glass is generally unusable because the glass color cannot be changed, and the colors cannot be isolated. And if, in theory, durable black plastic is a recyclable material, the reality is different. In fact, the current recycling infrastructure functions in such a way that black plastic is rejected at the recycling facility, due to its non-reflective nature. Educating yourself about such less known facts goes a long way in ensuring that your efforts in becoming eco-friendly are worth your time.